I ummed and ahhed several pictures for the Ten spot on this list; Alan Parker’s Midnight Express, Fred Schepsi’s The Chant of Jimmie Blacksmith, Terrence Malick’s Days of Heaven and Robert Altman’s A Wedding (which Pauline Kael, generally a big advocate of the director, called “a busted bag of marbles”). In the end I decided to fill it with a horror movie, that least respected genre, and it was a toss up between Halloween and Dawn of the Dead. While Carpenter is one of my favourite directors (most of his post-’80s output aside), Halloween has never been in my top tier, despite an marvellously oddball Donald Pleasance, mesmerising camera work and being his most iconic work. So I opted for George Romero’s equally influential Dawn of the Dead. I’m decidedly not a gore hound, and not all that big a fan of Romero’s oeuvre (he doesn’t have the greatest finesse). I don’t even care that much for Night of the Living Dead (sacrilege, I know), but it’s hard to ignore the blithe apocalyptic dread with which he infused his first sequel (the follow up Day of the Dead, whilst lacking the same refraction of the real world, also has some great moments and ideas). 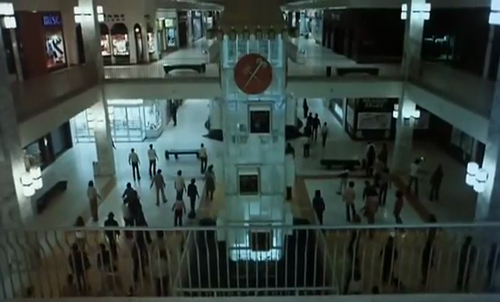 That, along with its mall-set parody of consumerism, as zombies shuffle about the mall like… well, you get the idea. It’s an uneven, rickety picture, betraying its budget constraints, but Romero instils a compelling, potent atmosphere, one that lingers. The temporary safety of this motley band of mall-holed-up humans (none of whom are exactly earth-shatteringly great actors) leads to carelessness and inevitably messy flesh tearing. The breach, when it comes, is not from the undead but the next worst ‘70s fear, a dread gang of bikers (they were everywhere in end-of-the-world scenarios at the time, from No Blade of Grass to Mad Max). Perhaps their time will come again. Perhaps the malls will too. The 2004 Zach Snyder remake, while descending into arbitrary gore as it proceeds (see also Watchmen), is notable for one of the very best, most terrifying openings of any movie (see also 28 Weeks Later). Roger: One-stop shopping. Everything you need, right at your fingertips. It would now be unthinkable for a potentially tidal-wave-of-lucre-spawning genre to go untapped for a decade after striking gold, but Superman had the superhero genre to himself, pretty much (Doc Savage: The Man of Bronze aside), until Tim Burton’s Batman eleven years later. Given the not insignificant obstacles to its eventual appearance on the big screen, including a Mari Puzo screenplay, continual problems with the effects, casting concerns (all the big names of the era were considered, until slender unknown Christopher Reeve was given the plum role) and producer problems (the sequel was being filmed at the same time, à la the Three and Four Musketeers only not surreptitiously this time; it was ultimately decided to concentrate on the original, such that director Richard Donner wasn’t invited back to finish the already 75% filmed Superman II, and Richard Lester came in and did sufficient reshoots to garner a full director credit), it’s a wonder it turned out as well as it did. While Superman arrived following the new dawn of science fiction and fantasy filmmaking fostered by Lucas and Spielberg (both of whom were offered the Supes gig) the picture had been in development since 1974, and began production before the release of either. But it too surfed a wave of redressed nostalgia tapped into by cineastes Spielberg (When You Wish Upon a Star) and Lucas (Flash Gordon iconography), in this case a lovingly manicured recreation of the ‘50s and a hero’s mild-mannered alter-ego fashioned from the era of screwball comedy. Much has been made of Superman’s Christ-like credentials, but more pertinent is the move towards simpler black and white heroism and villainy in this and Star Wars, following a decade of disillusionment, wising up and growing discontent. As such, it’s very much era-defined, which is (partly) why Bryan Singer’s sort-of sequel Superman Returns was so misjudged. While Superman is better-made than its sequel (Lester’s approach is cheerfully scrappy), it isn’t perhaps as satisfying; Hackman’s Lex Luthor is a lot of fun, but he lacks the threat of Zod et al, and the reversal of time device is rather hackneyed (not to mention daft). But Reeve’s Superman/Clark Kent himself is a triumph, and his/their interaction with Margot Kidder’s Lois Lane a culture-clash delight. Superman: Is that how a warped brain like yours gets kicks? By planning the death of innocent people? Lex Luther: No, by causing the death of innocent people. Scorsese’s film of the final concert of The Band is rightly venerated as one of the best concert films ever made. As someone who didn’t know The Band, and was only really familiar with Robertson from Somewhere Down the Crazy River, I found the documentary no less engrossing and musically invigorating when I first saw it in the early ‘90s, possibly even more so coming to it unversed. Having been on the road for 16 years, The Band wrap it up in style, with guest appearances from the likes of Van Morrison, Neil Young, Bob Dylan and Joni Mitchell, edited together (or out, being the rotoscoping out of a cocaine booger hanging from Young’s nose) with subsequent studio and interview footage. The anecdotes are fascinating, the performances captivating. There’s even controversy; Levon Helm claim Robertson hogged the limelight and Scorsese indulged him. But there’s always at least one disgruntled band member sifting through the ashes. Robbie Roberson: When we were working with Bob Dylan and we moved to Woodstock, everybody referred to us as the band. He called us the band, or friends called us the band, our neighbours called us the band. Richard Manuel: We started out with The Crackers. We tried to call ourselves The Honkies. Everybody kind of backed off from that. It was too straight. So we decided just to call ourselves The Band. Christopher Plummer plans a bank robbery (dressed as Santa) and mild-mannered teller Miles Cullen (Elliott Gould) realises, stealing the money instead and letting Plummer take the blame. But Plummer’s unnerving Harry Reikle isn’t going to let it lie, leading to a cat-and-mouse pursuit in which Miles proves remarkably level-headed and resourceful under pressure. Curtis Hanson adapted Anders Bodelsen’s novel (previously made as the 1969 Danish film Think of a Number), although Daryl Duke took directing duties (mainly a TV player he, made Tai-Pan for Dino De Laurentis). His approach is fairly no-frills so it’s fortunate that the script and performances are able to take up the slack. This is up there with Hanson’s better work (including White Dog, and of course, L.A. Confidential). A Canadian production, The Silent Partner features an early appearance from John Candy and a particularly unpleasant decapitation (the two aren’t connected). Susannah York makes a good showing in this list (see Nine and Three), but hers is a strictly supporting turn here; it’s Plummer’s and Gould’s show, and they don’t disappoint. Miles Cullen: I feel as though I know you very well. Harry Reikle: Then you know I’m ready to kill you. Michael Crichton, as writer-director for the second time, scored once again with his follow up to Westworld. Such success (on the big screen) would entirely evade him in the subsequent decade. Coma finds the author tapping into his medical roots, adapting pal Robin Cook’s 1977 novel concerning black market organ harvesting by way of some very ‘70s sci-fi design work (those suspended bodies). One-time (not even one) starship captain, here surgical resident at a Boston hospital, Genevieve Bujold is furnished with a relatively rare for the time female protagonist role in a hi-tec thriller. Crichton makes the most of the pervading paranoia leaking from every pore of the decade; Susan Wheeler can’t trust anyone, not even boyfriend Michael Douglas (but then, when was Douglas ever really trustworthy in a movie?) 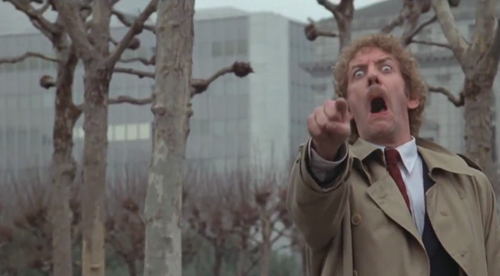 Being the tail-end of the ’70s, the last vestiges of its bite embodied by the determined downbeat Invasion of the Body Snatchers, order is restored and the villain led off in cuffs at the end, but Coma remains an effective picture, throwing a spotlight on the lurking distrust of modern medicine and its white, gleaming façade. Notable for the first movie appearances from Tom Selleck (as a victim, with a moustache) and Ed Harris, also featured are future Bond girl Lois Chiles and stalwarts Rip Torn and Richard Widmark. Jerry Goldsmith provides a sinister electronic score. Nurse: Doctors make the worst patients. They know too much. John Landis’ raucous college-set comedy was astonishingly popular, grossing more than half a billion in the US (inflation-adjusted). It was originally earmarked for Ivan Reitman (who produced) and let’s just say I think they picked the right guy (Landis was fresh from the hit Kentucky Fried Movie, and amended the content as he saw fit). Written by National Lampoon alumni Douglas Kenney and Chris Miller, and set-for-stardom, Harold Ramis, its foundation was Miller’s fraternity experiences in the early ‘60s (which he had written up regularly for National Lampoon). Something of an unknown property, with non-stars (Donald Sutherland aside, whose name basically got it made but who demurred from a percentage of the gross that would have yielded him $14m, instead taking a flat fee), novices and soon to explodes (John Belushi was on Saturday Night Live but his movie roles were limited to Jack Nicholson’s coke-frenzy western Goin’ South), it grew into something enormous, only pipped by Grease and Superman at the 1978 box office. The picture stands, with the same year’s Foul Play, at the inception of SNL stars invading the movies. Before long Spielberg would want a piece of the pie (1941) and Reitman would have a series of hits with them (Meatballs, Stripes and, of course, Ghostbusters). 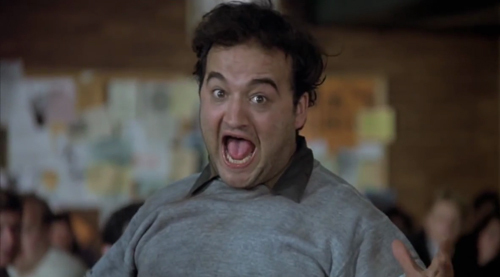 The picture includes big screen debuts from Karen Allen, Kevin Bacon, Peter Riegert and Tom Hulce, but, as astute as Landis was to want actual actors for the majority of the cast, it’s Belushi who undoubtedly steals the show, and was undoubtedly fundamental to its huge success. The first wave of ‘Nam movies, ignoring the likes of The Green Beret, sidestepped combat itself; The Deer Hunter, Coming Home and Apocalypse Now avoided the essentials of conflict that Platoon and Full Metal Jacket would explore nearly a decade later, concentrating instead on the effects it had on its protagonists and, when it came to depicting the war itself, adopting a heightened milieu (The Deer Hunter and Apocalypse Now). Coppola’s picture painted an absurd, surrealist nightmare of madness, whereas Michael Cimino, in his short-lived period as a celebrated filmmaker rather than the bankcrupter of a studio, showed little interest in presenting the war realistically (see the rightly famous Russian Roulette sequence); for him the Vietnam War is a means to explore ideas of masculinity and how violence can erode it, unless one is an exemplar of the gender (as De Niro’s Michael, regimented hunter attuned with nature, is). Screenwriter Deric Washburn (who collaborated on Silent Running with Cimino) worked from a story he devised with Cimino, Louis Garfinkle and Quinn K Redeker. In crude outline, it follows three blue collar steel workers (De Niro, Christopher Walken and Jon Savage) from Pennsylvania to Saigon and then back again; home is where the heart is, and at least part of liberal reaction against the movie comes from essentially conservative heroes failing to offer persuasive (acceptable) political views. Amid this, it’s certainly true that the Vietnamese are presented as sadistic monsters, but The Deer Hunter isn’t specifically a commentary on Nam; that just happens to be the war of the day. It is, wrongly perhaps, easier to give it something of a free pass with regards to such factors when it clearly isn’t even attempting to portray the war itself realistically. De Niro is the embodiment of the stalwart and true hero, the American to be proud of while his friends fail to meet the ideal, finishing up mad or crippled. Pauline Kael was as impressed by the film as she was conflicted over it, amusingly defining the pure ideal of male friendship therein as “the American cousins of hobbits”. Cimino is caught between a critique of the savagery of warfare and finding it exciting and ennobling (Kael was of the view that it has “no moral intelligence”); not for nothing has it been compared to The Godfather; with sterling performances from a sterling cast (also including John Cazale in his last role, and Meryl Streep), its scope and pervasive sense of loss clothe it in a poetic earnestness that actually marries rather well with the crass manipulation; Stanley Myers’ score is the icing on the cake. It’s quite understandable that the Academy garlanded The Deer Hunter with Best Picture, although with the hindsight of Cimino’s subsequent career nosedive, and the manner in which Apocalypse Now has, rightly, become the Vietnam movie, it has lost a little of its lustre. Mark Kermode notably eviscerated it, but many of the reasons he cites are the same ones that ensure it packs a punch. If it carries some rather reactionary sentiments beneath its very ‘70s, face-of-cinema-changing trappings, that possibly makes it more interesting, and it remains a powerful, compelling picture. Michael: Stanley, see this? This is this. This ain’t something else. This is this. From now on, you’re on your own. 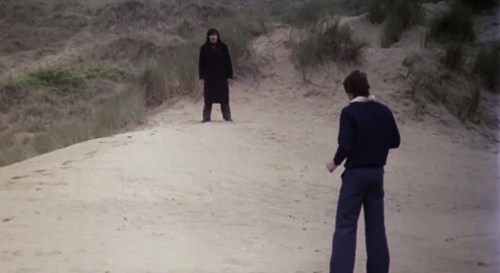 It can some times take a non-local eye to best tell a local tale, and Polish film maker Jerry Skolimowski cast his several times over Britain, most notably with ‘60s coming-of-age-by-way-of Polanski ‘60s weirdness Deep End. He also made the brilliant – but disowned, pretty much – Euro pudding The Adventures of Gerard, portraying, via Conan Doyle, the Napoleonic French in a thoroughly English manner, and very much the funnier for it. The Shout finds him adapting a Rupert Graves short story, about a man (Alan Bates) with the power to use a shout to kill. Bates is the unreliable narrator, telling his yarn at a cricket match, presenting himself as the interloper in a troubled marriage between Susannah York (a decade and a half from Tom Jones but still very lovely) and John Hurt. Familiar rural England is juxtaposed with untamed, unfettered primal forces. Bates referred to his character as one of those people “who are simply dangerous to know”, with some sort of power or ability to possess one’s soul. It’s a brooding, disturbed tale, full of portents and symbolism, pregnant with danger, possessed of a striking soundscape, and as such it very much echoes that other great chronicler of broken narrative and time, Nicolas Roeg (who was the first choice to direct). 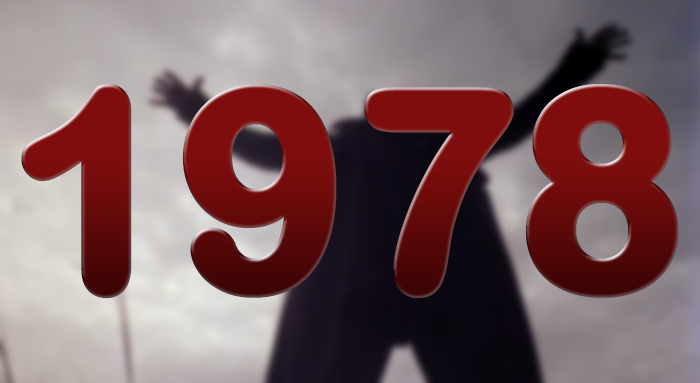 One of the best British films of the ‘70s, and under-appreciated, such that its cult status is forever assured. Crossley: If I shouted for you now, you’d die. As would your wife, and anyone else around here. While John Carpenter’s The Thing is rightly venerated as the way to approach a remake, taking the original as a starting point (or the short story at any rate) rather than slavishly imitating it, the true trailblazer of this method is Philip Kaufman’s Invasion of the Body Snatchers reboot (or continuance, with a cameo from Kevin McCarthy, still running where he left of in 1956). Smart adult science fiction would tend to the back foot in comparison to all things Lucas-verse, but here lies the perfect fusion of a tailing-off era (an edgy, paranoid, skewed view of the world) and an incoming one (the event movie, preferably sci-fi based). Kaufman was coming off a doomed attempt to bring Star Trek to the big screen, taking Leonard Nimoy with him, and fashions a metropolis of lost souls already undergoing identity crises well before the seed pods start taking over. 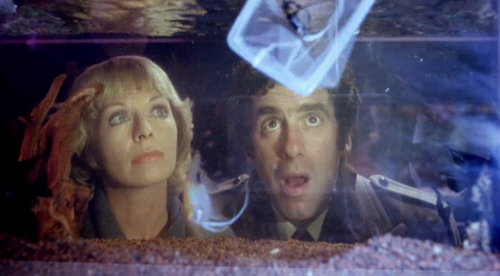 Nimoy is braincare specialist, Jack Bellicec spouting fashionable crypto-scientific methodologies for adjusting to the urban soup, an inspired piece of casting given his Spock history, but it’s the quartet of Donald Sutherland, Brooke Adams, Jeff Goldlbum and Nancy Cartwright who lend San Francisco turning bad its resonance. 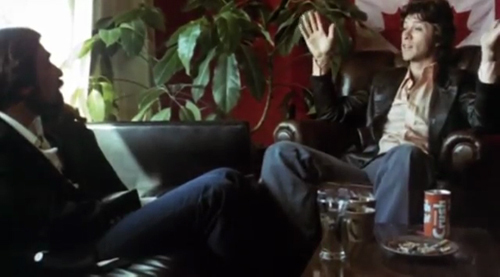 The latter duo represents the dying hippy flames, while Sutherland is positioned as part of the establishment, despite his anarchic image; he’s a health inspector, bringing others to book, so his gradual conviction that something is terribly wrong carries added weight (Goldblum’s paranoiac needs no encouragement). W.D. Richter would later write Big Trouble in Little China and The Adventures of Buckaroo Banzai Across the 8th Dimensioni, and Body Snatchers is shot through with a sly humour. But Kaufman, along with Michael Chapman’s eye for the uncanny and Denny Zeitlin’s sinister score, ensures this is very much the best kind of horror, the sort the seeps under your skin, suggestive of a waking nightmare (as evidenced by that final scene). Jack Bellicec: The rest of the world is trying to change people to fit the world. I’m trying to change the world to fit people. 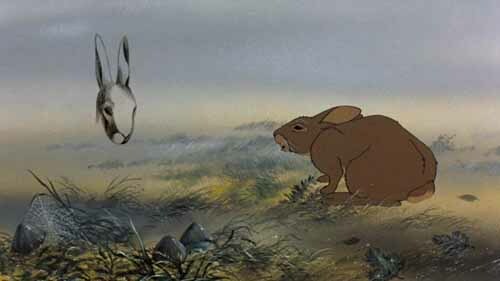 Martin Rosen’s adaptation of Richard Adams’ 1972 novel is somewhat controversial, as family animations go, a frequent source of upset parents, upset by their upset children. It’s a violent, unvarnished vision of the brutality of the natural world, as rabbit Hazel (John Hurt) leads an expedition to the promised land of the title following a vision of destruction communicated by his brother Fiver (Richard Briers). The animation might be considered a little crude by some, but it strikes a balance between the naturalistic and the anthropomorphic rarely seen in the predominately Disney-fied cartoon sphere, and frequently conjures imagery both poetic and affecting. Rosen made the film after the initial director John Hubley died and, for a first feature, it’s a remarkably assured, confident affair (ably aided by Terry Rawlings’ editing; he’d and Hurt would go on to even bigger success the following year with Alien). Watership Down is blessed with a dream of a voice cast (besides Hurt there are Ralph Richardson, Roy Kinnear, Denholm Elliott, Harry Andrews, Michael Hordern, Joss Ackland and Nigel Hawthorne). Sad, beautiful, with sometimes disturbing imagery (Holly’s account of the destruction of the fled warren is a nightmare of struggling, suffocating rabbit forms), it is also at times very funny, thanks to Zero Mostel’s bunny-friendly seagull Keehar. Few animations deal with death, let alone in such a mature, sensitive manner. Watership Down is something of a masterpiece, so savour it, as the BBC’s forthcoming CGI version is sure to be a relative disappointment. Narrator: All the world will be your enemy, Prince of a Thousand Enemies. And when they catch you, they will kill you. But first they must catch you: digger, listener, runner, Prince with the swift warning. Be cunning, and full of tricks, and your people will never be destroyed. The winner, and a controversial one for reasons outlined above. Out of nine nominations, it also bagged Best Supporting Actor for Christopher Walken (highly deserved), Best Director for Cimino (that wasn’t happening again), Best Sound Mixing and Best Film Editing. It missed out on Best Actor (De Niro to Jon Voight in another Nam flick, see below) and Best Supporting Actress (Streep, she’d get used to winning pretty soon, though). Best Original Screenplay went to that other Nam flick (see below), but let’s face it, Cimino’s picture was much more about images than words or even structure. Cinematography might have been a cinch in another year, but it was essentially Days of Heaven’s before nominations were announced. Whereas The Deer Hunter went for stylised conflict, Coming Home eschewed it entirely and dealt with the repercussions. 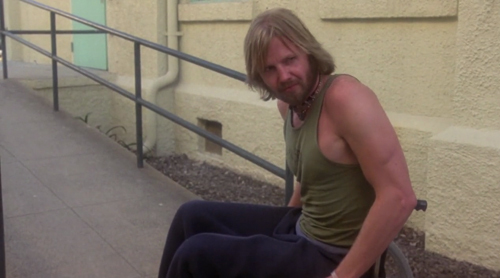 This one was all about the actors, with Hal Ashby drawing dedicated performances from Jon Voight, Hanoi Jane, Bruce Dern and Penelope Milford (all nominated in Best Actor, Actress, Supporting Actor and Supporting Actress respectively). Voight and Fonda took home their second Oscars, and Best Original Screenplay was also given. Ashby missed out on Best Director (he had an Oscar already for editing In the Heat of the Night), and Don Zimmerman on Film Editing. It’s a picture that hasn’t aged well, yet is nevertheless a trailblazer of its genre. 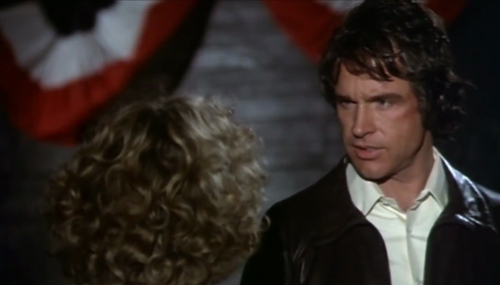 The bit of fluff nominee of the year, Warren Beatty sporting upbeat angelic romance by way of baseball glory. Shamelessly commercial, but Beatty had earned his stripes socio-politically by this point, and the Academy loved him. He was nominated as Best Director with Buck Henry, and as Best Actor, and with Elaine May for Best Adapted Screenplay, while Jack Warden and Dyan Cannon got noms in the supporting categories. Also Best Original Score, Best Art Direction and Cinematography. Nine nominations (like Deer Hunter), one win (Art Direction). 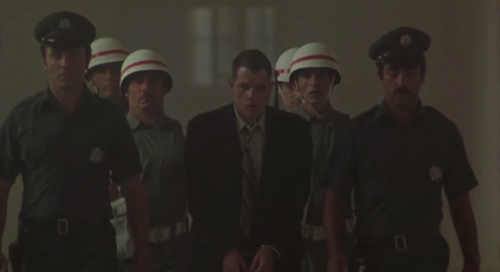 Alan Parker’s attention-grabbing prison drama, with an Oscar winning Giorgio Moroder score and suggested anti-Turkish sentiment. Parker was nominated for Best Director, John Hurt for Supporting Actor, a nobody called Oliver Stone won its second Oscar for Best Adapted Screenplay and there was also a nod for Best Film Editing (two wins, six nominations). The least remembered Best Picture nomination, from writer-director Paul Mazursky. He was noted for Best Original Screenplay (but not Director), Jill Clayburgh for Actress. It went home empty-handed. Also of note: Woody Allen, in full serious mode with Interiors, still garnered Director, Actress (Geraldine Page), Supporting Actress (Maureen Stapleton), Original Screenplay and Art Direction nominations. Mad Gary Busey was nominated as Best Actor for playing Buddy Holly. Luvvie fever got Sir Larry a nom for Boys from Brazil (!). The Swarm (WTF?!) was beaten to Best Costume Design by Death on the Nile and Moroder beat Williams’ Superman score. The Magic of Lassie had a nomination for Best Original Song. Days of Heaven’s nominations were limited to technical categories (Costume Design, Ennio Morricone’s score, Sound Mixing, and the aforementioned Cinematography). The Wiki page erroneously has the 2004 Dawn of the Dead slotted in here; interesting to see a Superman film has already made the equivalent of a billion dollars worldwide. And that Clint’s chimp film was as big in its day as American Sniper. More politically insightful too. Not a surprise that Halloween made so much, but did anyone realise how successful the original Lord of the Rings was?